What are they saying? 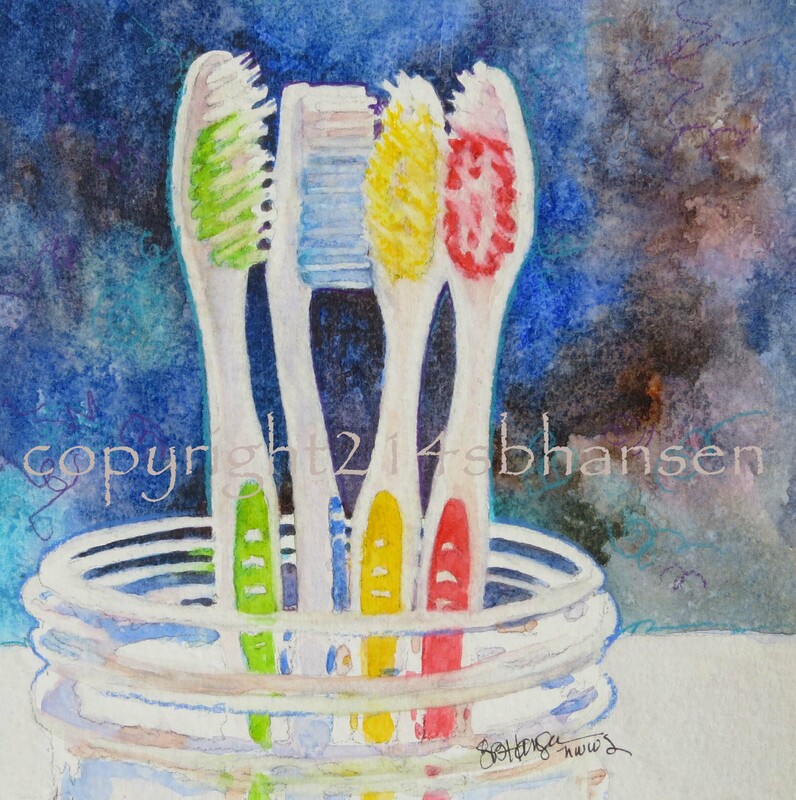 The entire time I worked on these toothbrushes, I considered their conversation, as one seemed to be leaning in to another, whispering in his ear, while the others looked on, pretending not to listen. Is this a witness protection program for toothbrushes? Someone seems nervous here. Are they being interrogated? Maybe someone just decided to have everyone participate in a “fun group game”? In the end, “Gossip” pretty much covers it all and adds some humor to the piece! What do you think they are saying? Send me a comment! Have a great day, everyone!